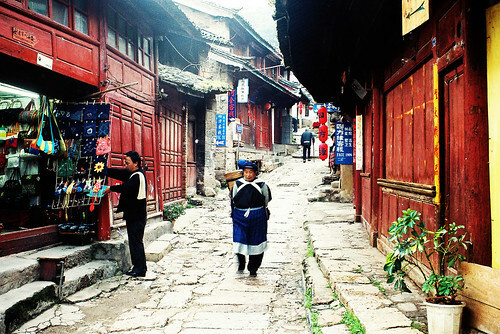 Lijiang is approximately 800 years old. It is situated in the Yunnan province and is considered a Unesco heritage town. The 1996 earthquake nearly totaled the entire city. Many of the ancient canals, buildings and bridges were reconstructed and rebuilt. 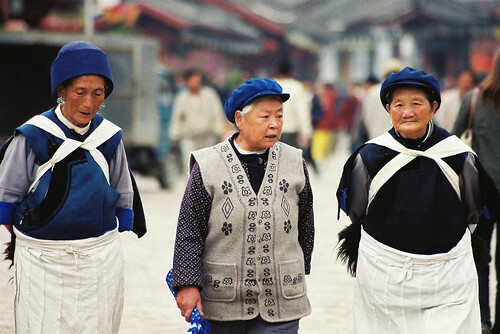 The dominant ethnic minority group in Lijiang is the Naxi tribe. 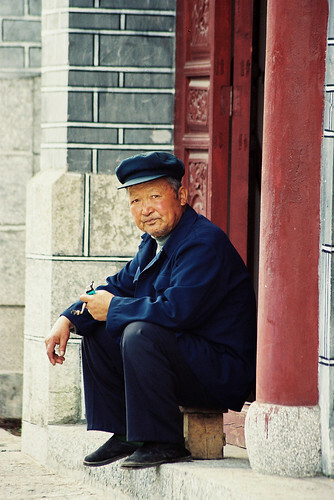 Being so close to Tibet, their culture and language is similar to that of their neighbor. Steve and I loved wandering around the old town. Having had typhoid before, he was extremely careful with what and where he ate. I would eat at a hawker stall on the street and then we'll have to search for a high-end restaurant for my man. And guess who ended up having diarrhoea?? The moral of the story is expensive restaurants do not necessarily mean better hygiene. Both of us adore calligraphy. We stumbled upon a Christian calligrapher who wrote bible verses. Given that only government sanctified churches are allowed, this was highly unusual. He could barely hold his excitement in check when he saw my cross pendant (which doubles as a fashion statement!). He was brimming with enthusiasm because he so badly wanted to tell someone how he was miraculously healed on his deathbed. He was diagnosed with terminal cancer and had weeks to live. A doctor sat on his bed and told him that although he couldn't do much for him, if he didn't mind, could he pray for him? The retired pensioner agreed. Over the course of a few days, he was able to walk out of the hospital completely cancer-free. It has been 8 years and I still remember how utterly radiant and contented he looked. 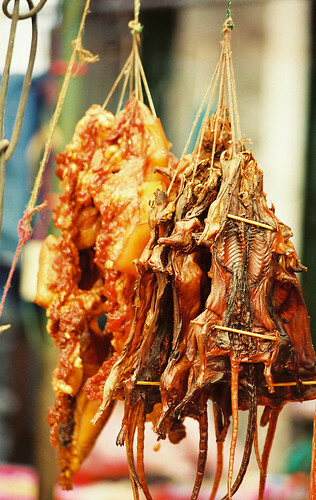 Smoked rats, anyone? Just kidding. Maybe not. ah, u saw cured rats too? your photos again, are simply fantastic. everybody seems to love lijiang. on my next to go list. Cured rats? Is that what it is?! I saw some weird looking amphibians, fox cubs, peacock and so forth. I guess anything that moves is fair game. Thank you, Terri! This was taken on my Canon SLR with Fuji ISO 400 negs. I wished I used more slides because they scan better. Old Lijiang is beautiful but the new town is like any other concrete jungle.